You now have access to New Industrial PC Platform making production sites "Integrated" and "Intelligent"
With our "integrated", "intelligent" and "interactive" concepts, we bring innovation to manufacturing sites through automation. The Industrial PC Platform (IPC) is a new control platform that delivers "integrated" and "intelligent" automation to production sites and equipment around the world. We are working on manufacturing innovation with manufacturers by developing our unique automation using a wide range of FA product lineup, including PLC and IPC, and open industrial networks such as EtherCAT. The IPC is a PC architecture based platform that meets strict quality standards required for factory automation (FA) devices and can be supplied stably on a long-term basis. We assist manufacturers to make production equipment smarter by utilizing IoT and big data through the IPC. At the same time, we help them boost both their equipment productivity and manufacturing quality by applying know-how on advanced fine-tuning control, which we have gained through the Sysmac Automation Platform, to production lines and equipment. The current trend to aim for innovative manufacturing by leveraging IoT, big data, and robotics at production sites is spreading. 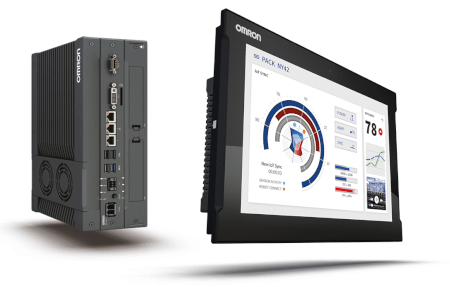 In order to collect data for preventive maintenance, a programmable logic controller (PLC) is connected with a PC for office environments which requires complex license management and is supported only for a short time. Moreover, builders of semiconductor manufacturing equipment and machine tools in-house produce dedicated boards, equipped with real-time operating systems, as main controllers. They are outsourcing development of general control functionality and concentrating resources on development of competitive core technology. These circumstances increase the global needs for PC architecture based controllers which provide environmental resistance and reliability and allow for flexible development. We have captured these needs and developed three types of IPCs. Users can choose the best IPC from box-type PC models and all-in-one PCs with built-in monitors to suit their system configurations and applications. 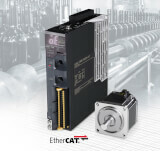 The IPC supports EtherCAT that is an open network used for production lines and equipment all over the world, as well as providing a development environment that allows users to customize functionalities, which was impossible with previous PLC. 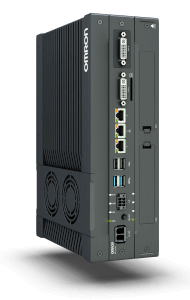 The Industrial PC offers robustness and reliability for applications in FA environments and is suitable for use with both Windows software and programs for machine control and automation. Production data can be collected to ensure stable equipment operation. 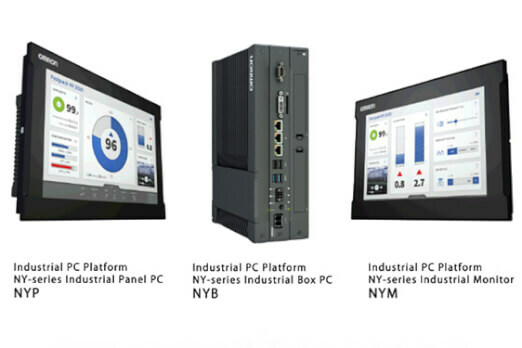 The IPC Machine Controller combines the precision and speed of the NJ/NX series of Machine Automation Controller with the versatility and range of Windows programs on single platform by using our unique hypervisor function. This achieves both production data handling and advanced fine tuning control using ILOR+S (Input, Logic, Output, Robotics + Safety).